Life in the Hunter region can be great. Land prices are in line with regional real estate, but it offers a delicate balance of city traits – wine bars, concerts, a world-class university, excellent coffee, multiple art galleries and some fantastic restaurants. Purchasing land in the Hunter is a wise investment. But what sort of land have you got? Knowing your block will help you determine what kind of home you should build on it. Study a topographic map of your property and get to know what you’ve bought. Identify flat areas that may be good for laying the foundation, as well as areas that will need to be cleared of rocks or debris. Establish your boundaries, have your land evaluated and clear the land if it needs clearing. Hunter weather is generally different to that of coastal areas. Temperatures can be higher during day, but cooler and drier at night, with greater risk of frost. This makes the Hunter a hot and dry region, requiring shading, especially on east and west-facing blocks. That said, the more coastal and lower parts of the Upper Hunter region experience a mild subtropical climate with 700mm to 950mm of rainfall on average. This makes some parts of the region hottest and wettest in Australia. You can learn more about building for climate here. It’s important your home meets current climate needs to ensure your comfort for years to come. Kitome uses passive design options so that you can take advantage of the climate and not only stay comfortable but reduce heating and cooling bills. Work with your team to survey your land and you can make use of prevalent breezes and the path of the sun. The Hunter sub-region is primarily defined by geological features and ridge lines associated with the Hunter, Liverpool and Great Dividing ranges. Several mountain ranges ring the subregion and land surface elevation ranges from sea level to 1241m in East Bluff. Land surface slopes are flat to moderate in the northern parts and relatively rugged in the southern parts. The soils of the Hunter region vary widely, from sandy alluvial flats to deep friable loam and friable red duplex soils. In the Upper Hunter, the rivers and creeks of the region contribute to the area’s black loam soils that are often overlaid on top of alkaline clay loam. Among the hills of the Brokenback range are strips of volcanic basalt. Soil information is important for a number of reasons, such as climate change, soil erosion, acidification and dry land salinity. Soil can make or break a construction project. Soil that changes shape or shifts may not bear the weight of some structures. Floods occur frequently in the region. In fact, according to SES data the Hunter makes up 10% of NSW’s total storm insurance claims. In an ideal world, no one would build or rebuild in a flood zone, but competition for land means this can’t always be avoided. If building in a flood zone, use resilient materials like steel to minimise potential damage and design your home so that it can dry out quickly in the event of a flood. The threat of bushfires is the price to pay for a beautiful bushland location. Maps of fire-prone areas are updated by council periodically and are certified by the NSW Rural Fire Service. If you are lodging your development application after January 2018 you are encouraged to check the latest Bush Fire Prone Map which has changed quite significantly from previous years. It’s important to remember that bush fire prone land isn’t restricted to land that’s surrounded by bush. 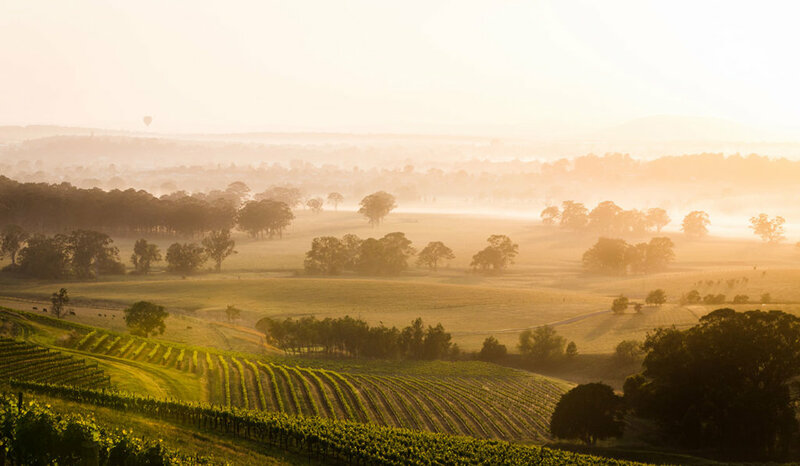 Your land may be near grassland, paddocks, a vineyard or near the coast. Urban bushland provides food and habitat for native fauna species. Being sensitive to bushland and trees helps conserve Australian native plants and gives you the chance to be close to flora and fauna. But you need to consider the impacts of falling branches or even whole trees on your home. This is of particular importance in regions of the Hunter that are prone to storms. If your land has trees you’d like removed, refer to your council’s standards for removing and restricting trees before taking any action. Water is a precious commodity and it pays to know where it’s coming from. Check to see what water regulations are set by Hunter Water, as well as who is responsible for approving the installation of all new water and sewer services. A development assessment application is not required if you are planning a single residential dwelling on a serviced vacant lot, however assessment of your home plans is still required. When planning a subdivision, flats or units, or if planning a duplex, commercial or industrial building you will need a development assessment. Through Local Environmental Plans, Development Control Plans and other policies, councils regulate building and development within the Hunter community. Development Applications can be for land subdivision, commercial, industrial, residential and agricultural land uses. Acts in the public interest, at arms lengths from the parties involved. You will need to lodge a Notice of Commencement at least two days prior to commencing works and having appointed a Principal Certifying Authority. To learn more about local council regulations speak directly with your local council. For an acreage block we recommend any of our Prestige Series homes, particularly the Kensington or the Homestead which have wrap around verandahs and a range style look. For a large block with a bit of space to move, kit homes in our Freedom Series would be ideal, particularly the Harrington, the Sheffield and the Brighton. If you have a smaller more suburban block, the Glenbrook or the Edenvale would sit perfectly on your humble plot of land. Take our kit home selector quiz to discover which kit home designs are best suited to your lifestyle needs and personality. Our kit home designs are 100% customisable. That means you can choose the design that you like the most, and add features that best suits your needs and the environment of the Hunter region. Considering a kit home for your land? Download a brochure today or give us a call and discuss the above. We’ll be able to help you find the right Kitome to suit both your land profile and needs.